2 Supports remote viewing, controlling and recording from anywhere on desktop computer with standard web browsers(IE, Firefox, Google chrome and Safari) and on smart devices such as Apple iPhone, iPad, Android Smart Phones and Tablet PCs with included Sumpple App, which has an IOS and Android version, you can download and install the App on your iPhone, iPad and Android Smart Phones and Tablet PCs. 3 Motion detection and Email alarm: The camera supports motion detection feature, can record and take snapshots, FTP when motion detected; what's more, camera can send you email when alarm triggered, informs you what is happening. 4 "Plug & Play" function features the ability to connect via smart phones by simply scanning the QR code on the camera. High quality HD video combined with enhanced firmware features for smoother video and auto IR-Cut filtering for better color accuracy. 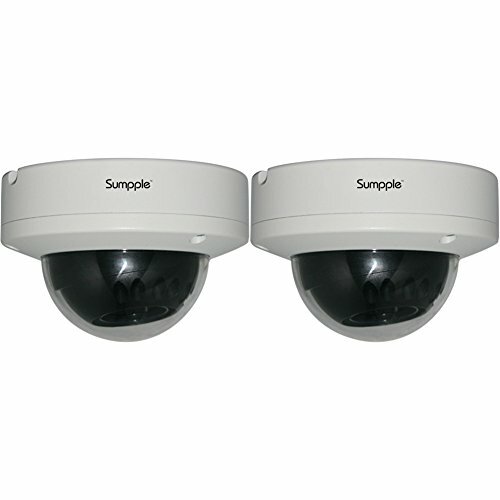 5 Day and Night Vision Function with Built-in IR Illuminators: The camera offers built-in IR illuminators and a light sensor that detects environmental lighting conditions. When low-light conditions are detected, the built-in IR illuminators are automatically switched on to provide additional infrared light that help deliver clear night-time image. If you have any questions about this product by Sumpple, contact us by completing and submitting the form below. If you are looking for a specif part number, please include it with your message.